Anti-smoking groups want the Government to move faster on plain tobacco packaging legislation. Ireland joined Australian during the weekend in passing laws enforcing plain packaging of tobacco products. Britain is also expected to pass similar laws this month. But while New Zealand was one of the earliest proponents of plain packaging, the legislation has languished after its first reading, amid fears of an expensive legal battle with the tobacco industry. 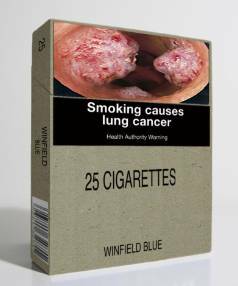 The Government has said it continued to support plain packaging but further progress depended on Australia successfully defending its law against legal challenges, something that could stretch out past next year. New Zealand has had legal and trade threats from the tobacco industry and some tobacco-producing nations if it proceeds with plain packaging. Health Ministry officials have estimated a legal battle could cost $8 million.